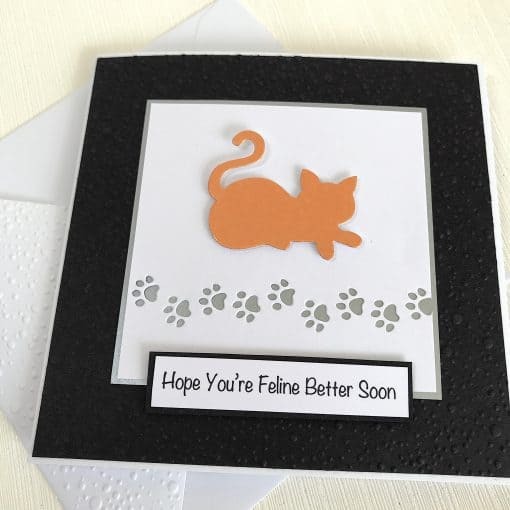 This handmade card makes a stylish card to wish someone a speedy recovery. A cheeky cat has left a trail of paw prints across the front of the card before lying down. 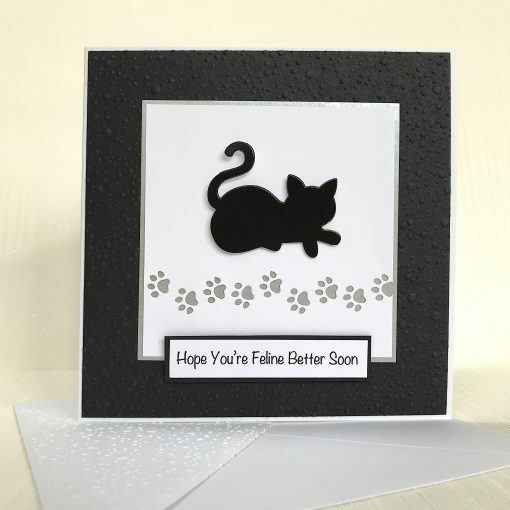 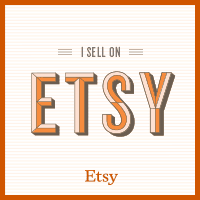 The card can be personalised on the front with the wording of your choice. 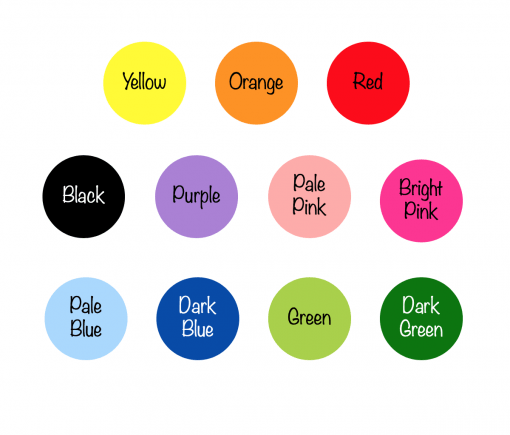 You can choose from 11 different colours for the cat. The envelope flap is also embossed for an extra finishing touch. 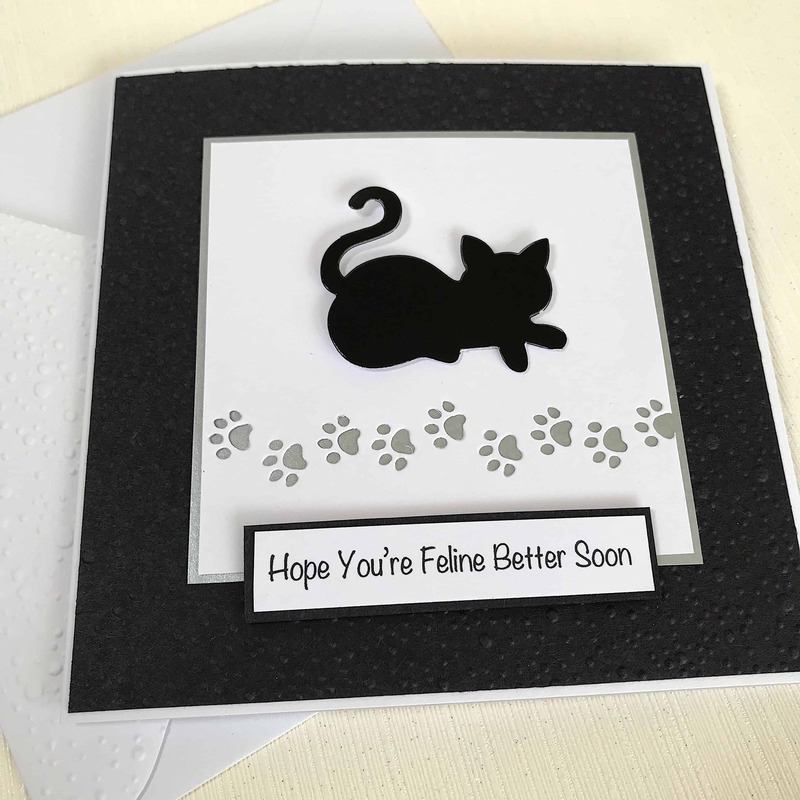 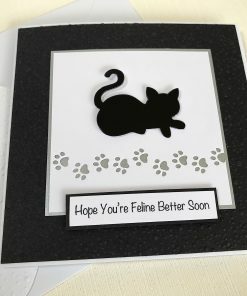 This card comes with the wording “Hope You’re Feline Better Soon” on the front. 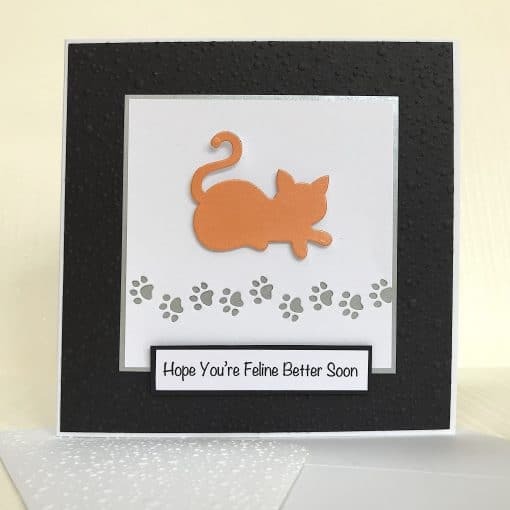 If you would like a personalised message then choose this option and then provide the wording required for the front of the card.